Entering the third decade of the 21st century, much of the world is still plagued by small wars, “gray” wars, or cold wars that at times threaten the peace and stability of large swaths of the planet. In spite of, or perhaps because of, the speed and power of an interconnected global information grid, it is easy to get lost in trying to understand the numerous flash points of regional conflicts. 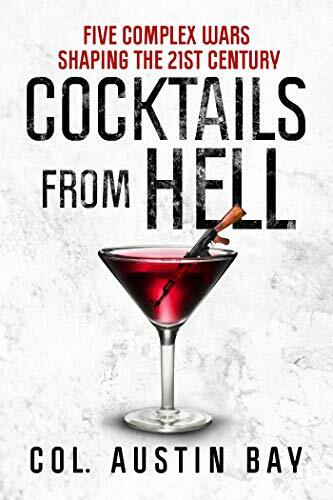 Retired army Colonel Austin Bay, creator and publisher of the strategypage.com website, examines five of the most volatile and important of these regional flash points, providing valuable context and analysis of these “cocktails from hell” that could at any time involve the U.S. or its closest allies in a bloody conflict with global implications. Not surprisingly, Colonel Bay has chosen North Korea, China, Russia, and Iran as the first four countries and conflicts for analysis. These are highly relevant choices as these countries continue to pursue aggressive agendas against their neighbors as they seek regional hegemony. The choice of the on-going internal strife in the Democratic Republic of Congo (DRC) for his final case study may surprise some readers. But this conflict offers an excellent example of the challenges faced by a “failed state” or other countries with high corruption, ethnic warfare, and a weak and ineffective government that cedes large portions of the country to the control of gangs or warlords. The issues facing the DRC are certainly representative of any number of countries considered “failed states,” which have the tendency to spread their conflict and strife to neighboring countries, as well as provide havens to terrorist organizations. The book is laid out in sort of a case study or intelligence briefing format, describing the current status of the conflict (or potential conflict), the major players and their objectives, external and internal inputs and influences, and some potential outcomes. Each case study also provides a recent chronology, showing the development over time of the particular crisis. The author also reviews the soft power actions of each party, in particular showing in the China case study how that country has twisted diplomacy and international law to bolster its dubious claims to the entire South China Sea. The information is brief and to the point, giving the reader an informative overview without getting bogged down in the details. Using his military background and experience co-authoring the bestselling Quick and Dirty Guide to War, Colonel Bay provides a solid analysis of each conflict, noting both probable and worst-case scenarios for all of the major players as well as known and unknown factors and actions that could affect various outcomes. For additional information on any particular case study, the author of course refers the reader to his website while providing a fairly good bibliography at the end of the book. However, the solid analysis is marred by a couple of minor shortfalls. First, since the book is targeted at a general audience who may not be nearly as familiar with the subject as the author, the lack of maps for each case study seems puzzling. The author highlights the role geography plays in each case study so not having a reference map per chapter would, for example, pose a definite challenge to a reader unfamiliar with myriad disputed islands, reefs, and shoals at the heart of China’s conflict with their neighbors over the South China Sea. There are also some minor formatting and a couple of typos that some additional editing might have corrected. These issues aside, for the general reader unfamiliar with the most significant conflicts or near conflicts, this book does provide a brief but informative overview of the most dangerous flashpoints threatening global peace.